Engagement Shoot! | Amy & Justin are tying the knot! | Atlanta Wedding Photographer - 2TPHOTO: life through a lens. As I was driving to the coffee shop, eagerly awaiting Amy & Justin— I couldn’t help but wonder what they would be like. I was forewarned to not judge… considering they would be “decked out” in Renaissance Festival gear. But the only thing running through my head was meat on a stick… turkey legs… and the petting zoo— they gotta be cool! When I walked in, Amy was comfortably perched next to Justin. She was wearing an all black gypsy outfit with a crocheted hat, a belly dancing styled coin skirt with a black tiered skirt underneath. Justin was wearing a t-shirt and cargo shorts. This is my kind of couple. Detail oriented, free-spirited, and outgoing mixed with old fashioned, laid back, quiet type. They are a perfect balance. 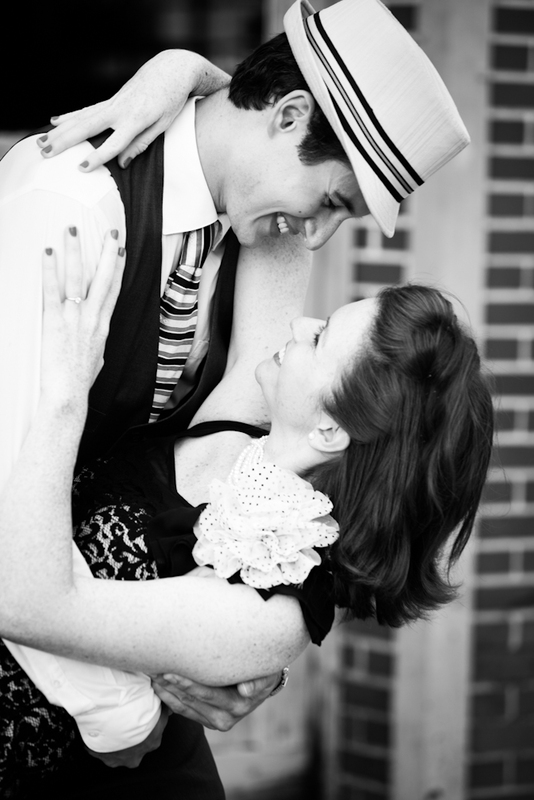 Amy and Justin wanted a location that was important to them so we decided to shoot their engagement session at the same location as their first date— Marietta Square… where they swing danced the night away. Here are a few from their shoot!